The Flyover feature of Apple's Maps, as you likely know, gives you a 3D view of a city. A list of these cities can be found on the website Flyover Cities. 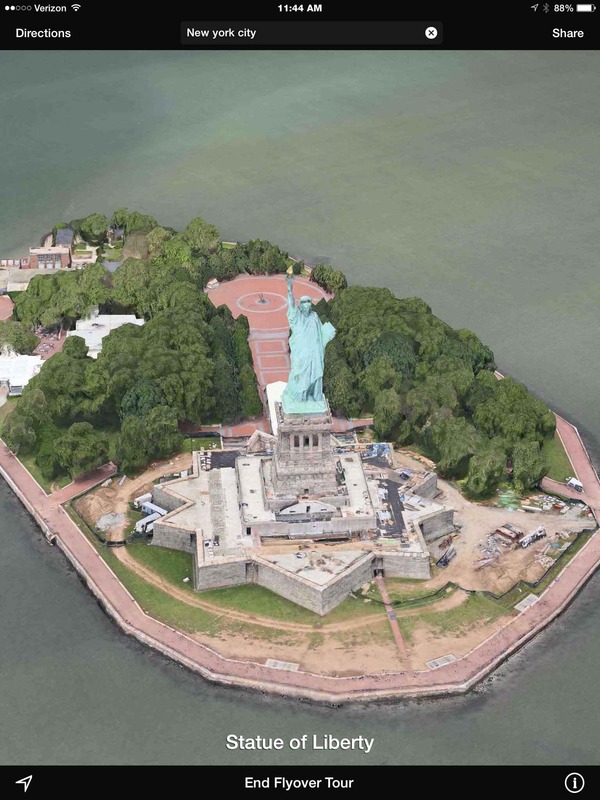 In iOS 8 Apple added a fun new feature called Flyover Tour that takes you on a 3D tour of the city's major landmarks. 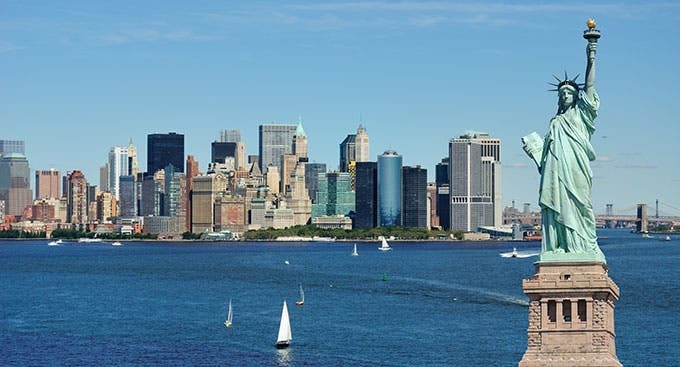 The Flyover Tour of New York City includes the Statue of Liberty, Brooklyn Bridge, Empire State Building, Central Park, and more. Only some of the Flyover cities have a Flyover Tour. They include New York City, San Francisco, London, Paris, Montreal, Toronto, Vancouver, and Sydney. To view a Flyover Tour, simply boot up Apple's Maps app and do a search on the city name. If there's a tour available, the top of the screen will say 3D Flyover Tour of New York (or whatever city you've searched for). Tap on that, and the tour will begin. That option seems to only appear the first time you search on a city name. If you go back, it may not appear. In which case, you can also tap on the details for the city (the red pin), and Flyover Tour will appear as an option. Since these Flyover Tours are fairly data intensive, it would be good to be connected to Wi-Fi for the smoothest experience — and also to save on your data usage.